Linseen, also known as flaxseed, is one of the best sources of omega 3 essential fatty acids, the good fats that have heart-healthy effects. It has a lot of health benefits, and best of all, these benefits are applicable to everyone. Read this article to learn more. Linseed, or flaxseed, is the richest source of omega 3 essential fatty acids. It contains 50 to 50 percent omega 3s which is almost as twice as much as found in fish oil. Despite it benefits everybody, it is perfect for vegetarian and vegan diets because it comes from a plant source. Linseed/flaxseed oil is different from other vegetables as it contains linoleic acid and alpha linolenic acid, fatty acids needed by the body and must be obtained through diet. Heart disease – the omega 3 fatty acids helps lower high blood cholesterol and triglycerides. They also decrease the chances of clots in the arteries which can lead to stroke, heart attack, pulmonary embolism, or any occurring peripheral vascular disease. They can also help in lowering high blood pressure. Cancers – research reveals that omega 3 fatty acids can help kill human cancer cells on the same culture. An omega-3 fatty acid called alpha-linolenic acid (ALA) inhibits tumor incidence and growth. Cardiovascular disease - the omega-3 fatty acids and amino acids help in normalizing the heartbeat, lower blood pressure, and has anti-inflammatory effect. Arthritis – omega 3 fatty acids have been shown to be helpful in the prevention and treatment of arthritis. Asthma – linseed oil helps relieve asthma by decreasing inflammation and improving lung function. Diabetes - the lignans help improve blood sugar. Premenstrual syndrome (PMS) – omega 3 fatty acids can help relieve or even eliminate PMS symptoms. Allergies – omega 3 fatty acids helps decrease allergic response. Water retention – linseed oil helps the kidneys to remove excess water and sodium. 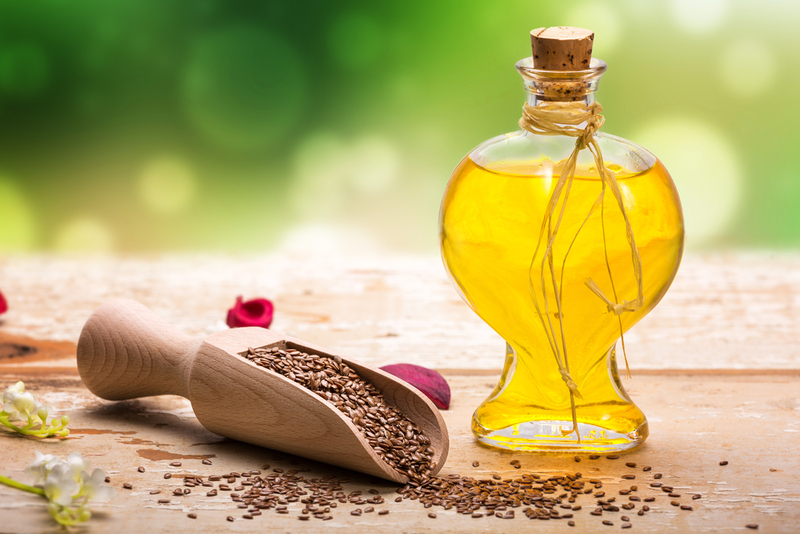 Skin conditions – linseed oil helps improve the texture and quality of the skin, and can also alleviate skin conditions caused by the lack of omega 3 fatty acids. Vitality – linseed oil help increase vitality and energy. It can also improve stamina. Feeling calm during stress – omega 3 fatty acids helps prevent the production of excess toxic biochemicals under stress. The linseed plant yields the fibre where linen is made as well as oil and seeds. It is highly unsaturated and healthy to the heart. The lignans and other components may also have antioxidant properties which helps in reducing the activity of cell-damaging free radicals. Linseed has a pleasant, nutty flavour which can also be sprinkled on to cereals, into yoghurts, and smoothies. A person can also choose to consume it in the form of the oil, or a supplement in capsule form. Grinding or chewing the seeds very well are the best ways to gain the most benefits or otherwise they will just simply pass through the body whole. Also, the seeds or oil should be kept refrigerated and in a dark place. Do not use the oil for sautéing or frying. Researchers recommend that the daily dose of linseed for most people is at least 1000mg which can be taken one to three times a day. Pregnant women and breastfeeding mothers should not supplement their diets with large amounts of flax. They should also avoid ground linseed.